If the lower basket of your dishwasher is getting caught instead of running smoothly, then it’s time to replace the lower runner wheel. The lower basket wheel is the runner on which the basket slides while filling and emptying the dishwasher. It often gets damaged by incorrect loading of the basket, by dropping heavy utensils into the basket, or just over time, resulting in jamming of the basket. 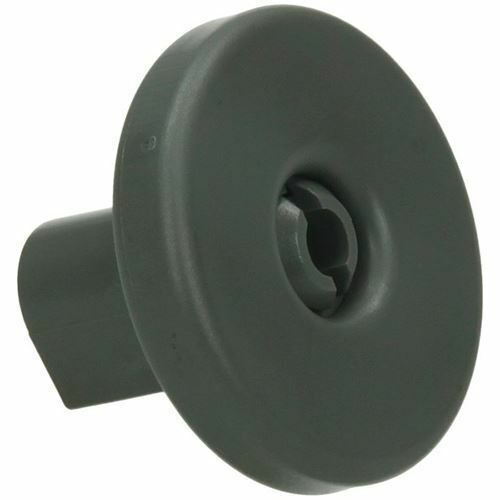 The Zanussi Basket Wheel Lower is a genuine replacement lower wheel that makes your dishwasher operational again. It is designed to work with select models of Electrolux, John Lewis, Firenzi, AEG, Tricity Bendix and Zanussi dishwashers. Wish I'd bought these sooner! Took me a while to order these, even though I constantly struggled with getting the lower tray to go back into the dishwasher without coming off the rails. I balked a little at the price (buying 8, remember) but it is so-o-o-o worth it. Tray runs smoothly again, even when heavily loaded. Straightforward to fit. Don't hesitate if you have the same problem! These were so easy to fit fit, should have purchased long ago. I found this company particularly easy to transact with through their on line service. They had the parts I wanted which were easy to find on their website. Payment system was trouble free and the parts which were basket wheels for a dish washer arrived on time. We are delighted with the parts and they make our machine feel like new. It initially seemed a bit expensive for 8 bits of plastic, however it has completely rejuvenated our dishwasher. It was becoming next to impossible to load the dishwasher properly. 8 new wheels and its as good as new and 100s of pounds cheaper.